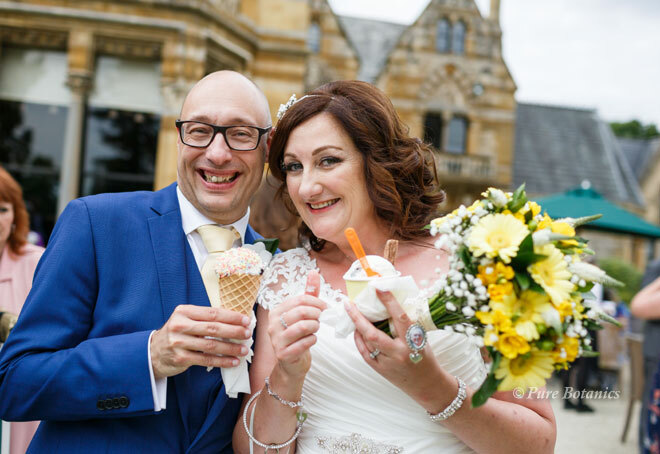 It was a perfect wedding day for ice-cream as the sun was shining. 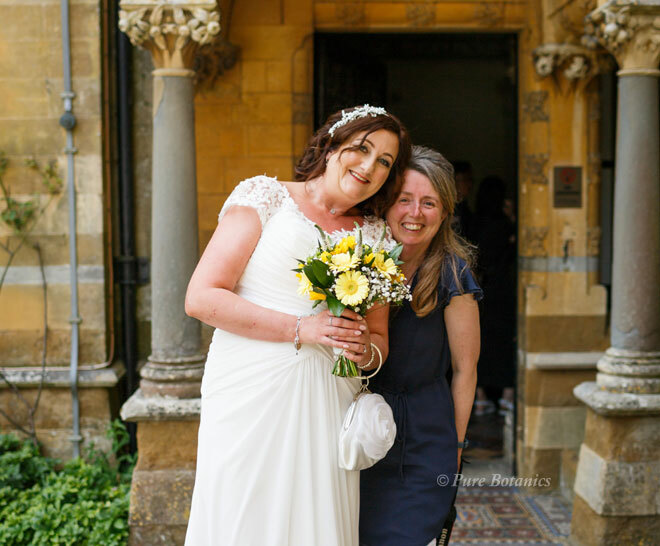 I remember it being really hot as I set up for this fabulous outdoor wedding ceremony at Ettington Park hotel near Stratford-Upon-Avon. 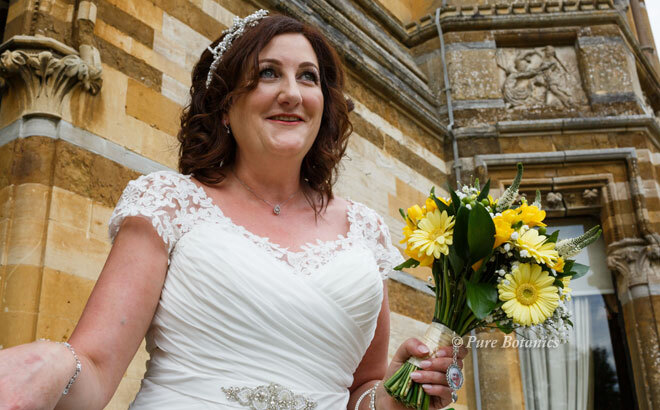 I was really delighted to receive some of Caroline and Jon’s fabulous wedding photos that I’ve shared here on this page. We love a bit of originality here at Pure Botanics. 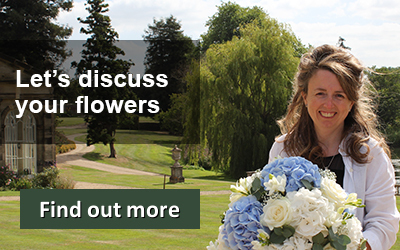 When I first met Caroline and Jon for their wedding flower consultation at Ettington Park they had lots of ideas on what they wanted for their flowers. 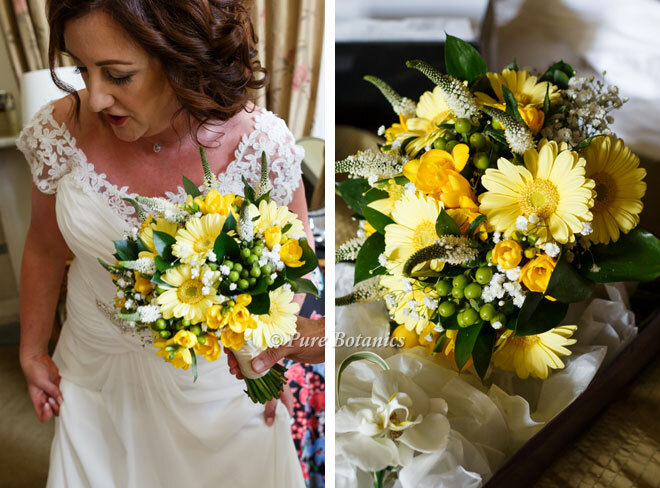 The colour theme was set for vibrant yellow flowers and Caroline really wanted gerberas. 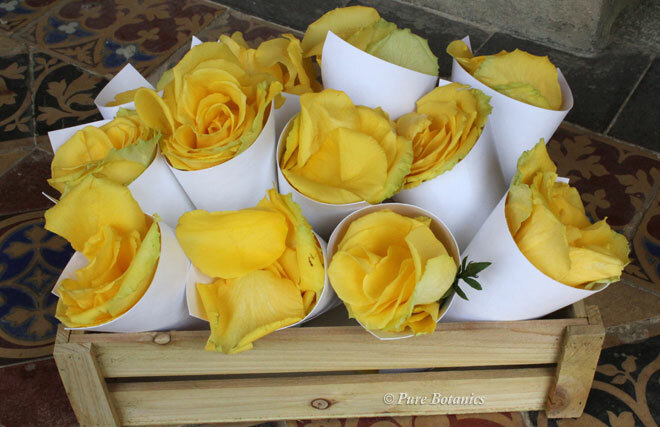 They also wanted their flowers to be very natural with a country style and look. So I set about designing the flowers you see here. 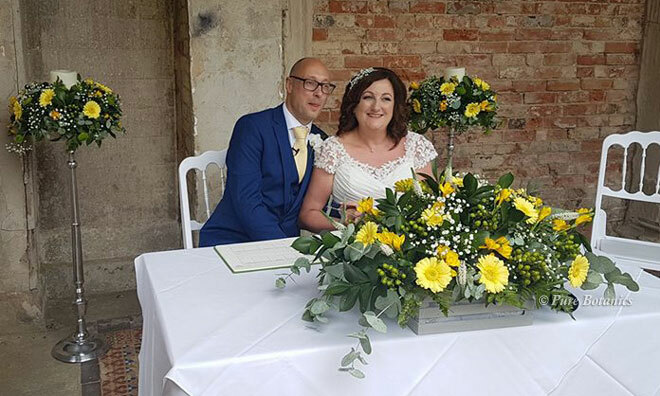 I created Caroline’s natural handtied posy bouquet with yellow gerberas and freesias. These were combined with ivory gypsophila and veronica to give the natural look and feel along with green hypericum berries and dark green ruscus leaves. It just got hotter and hotter as I scattered rose petals all over the white aisle carpet that led up to the Orangery for the couple’s outdoor wedding ceremony. Because you can’t scatter the petals too early I needed to be on site just before the wedding ceremony to make sure everything was perfect. The Orangery makes a wonderful outdoor wedding ceremony backdrop. 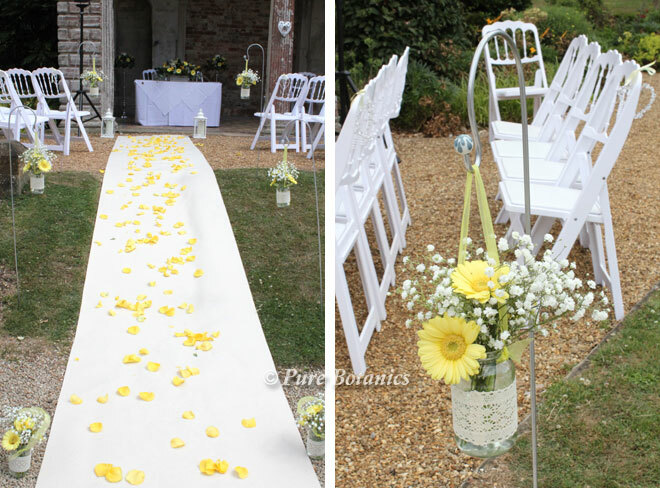 Caroline and Jon had asked me to make pretty little posies of gypsophila and gerberas in jam jars to hang from Shepard’s crooks along the aisle (photo above). 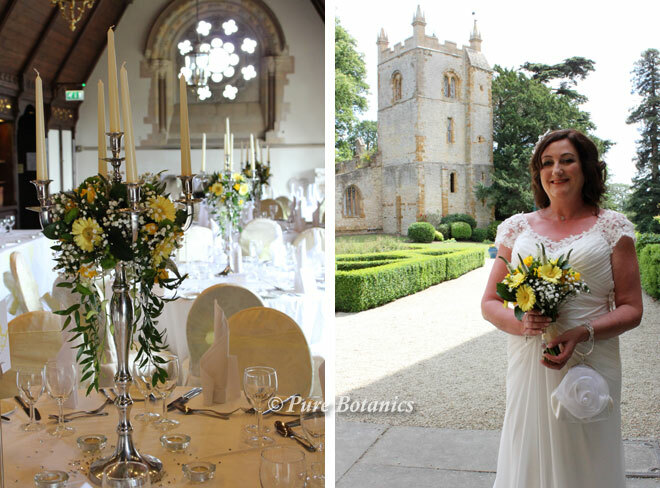 I placed our stunning floor standing candle stands in the Orangery (photo below) and put their top table arrangement on the registrar’s table. 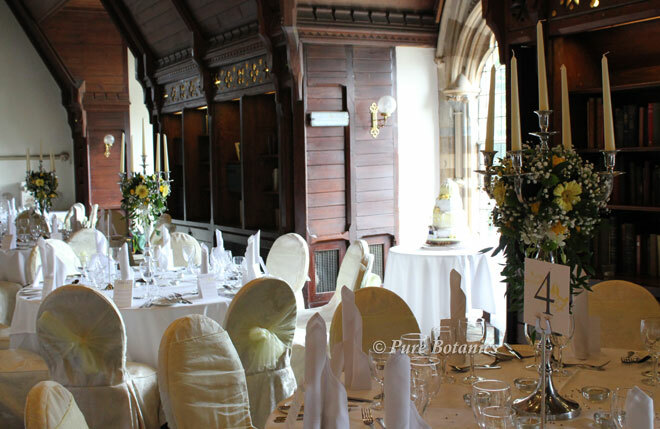 It’s always a good idea to use arrangements that can then be transferred up to the long gallery to decorate the top table. Finally I set up our beautiful silver candelabras in the Long Gallery. I decorated these with a full all round display that fitted with the couple’s colour theme, flower choices and overall look. It was a beautiful wedding to work on with a colour theme that we don’t get to do very often, so it made a lovely change. 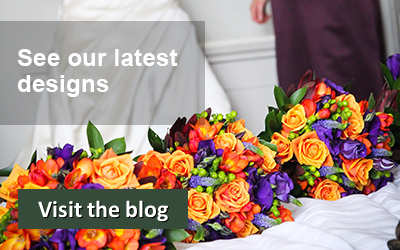 Get in touch with me to see how I can transfer your wedding flower ideas into reality.